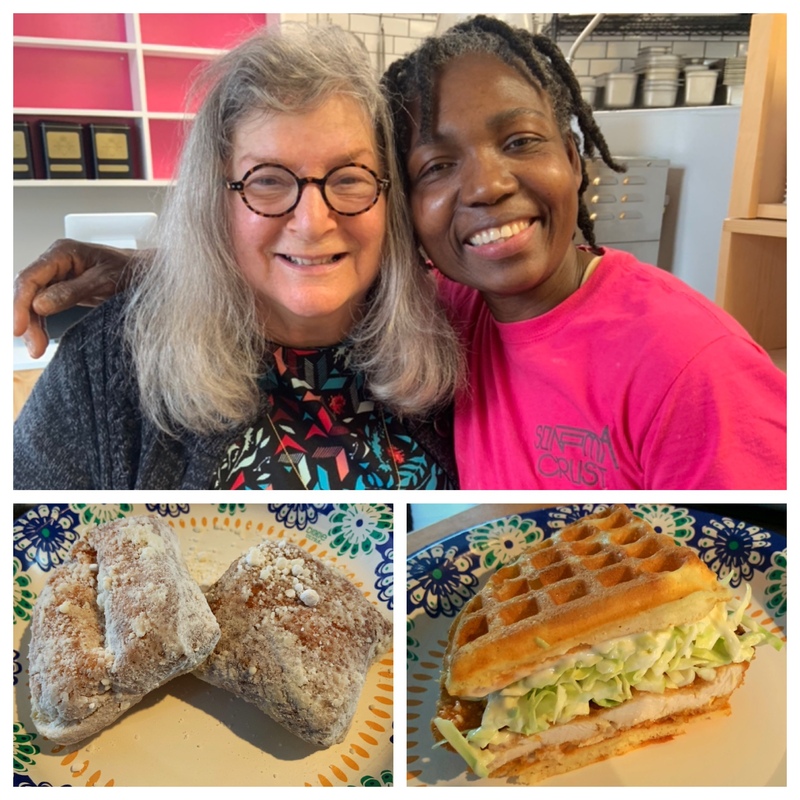 Mama and I decided to lift our spirits with fresh, hot beignets and our favorite Chicken and Waffle Sandwiches this afternoon. We love coming to Sonoma Crust Bakery and visiting with the chef and owner Anne. She’s got such a wonderful spirit, and she puts that love into her delicious food. Today’s #OneGoodThing was hugs with our beignets! What was your #OneGoodThing today? Please share in the comments! Day 19 of 365. And Day 1,115 in a row (here’s the first 366, & the following 365, & the third year of 365 good things)! 1 year ago today: Our friends are back again!